10" x 12",6.5" x 4"
This is an original production cel and background from the Marvel Studios production of Iron Man (1994-1996). 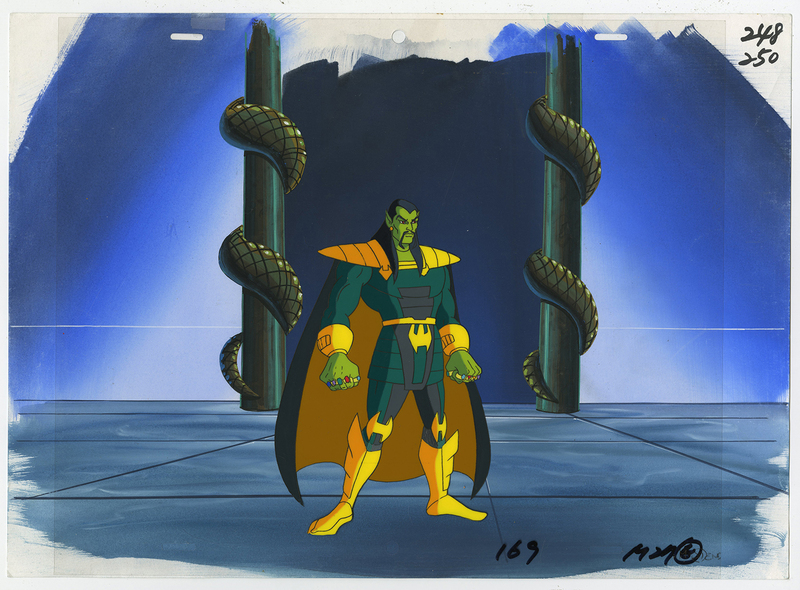 This production cel and background features Mandarin and was created at the studio and used during the production of the film. 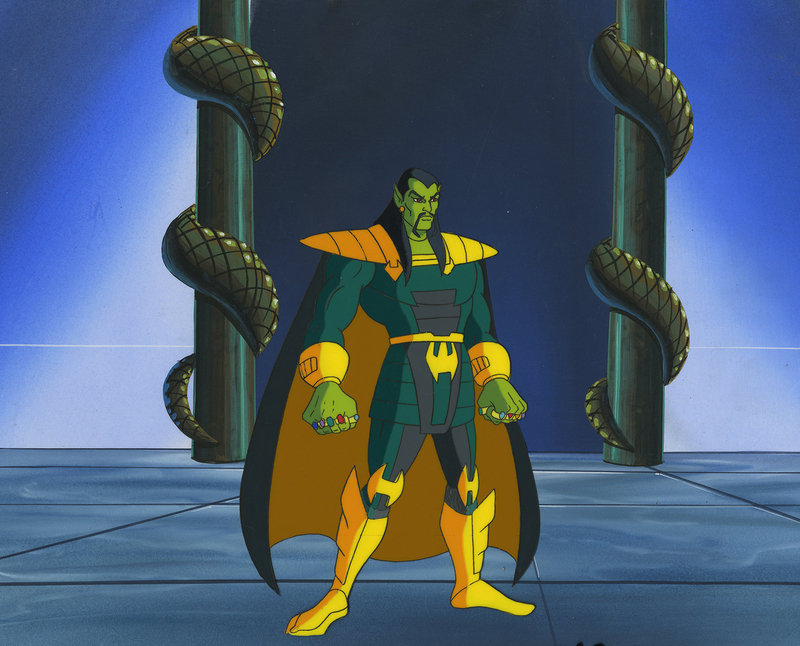 The overall measurements of the piece are 10.5" x 14.5" for the background and 10.5" x 12.5" for the cel, with the imagery measuring 10" x 12" on the background and 6.5" x 4" on the cel. The piece is in very good condition.